EnoB Music Education Program launched in April, 2018 at Northside Center for Child Development in Harlem. We finished 10 week Children's Choir Class with 10 children from 6 to 11 years old in June 2018, and 8 week program in December 2018. EnoB has started its music education program with the William and Munja Ozolek Foundation this 2019. It teaches love with music through therapeutic and healing methods to underprivileged children (disabled, low-income families, etc.) who don't have a chance to learn music, and it helps them purify their emotions in order to develop their own self-confidence. Furthermore, when they grow up, the children are able to use music as a tool to help them function as part of society. 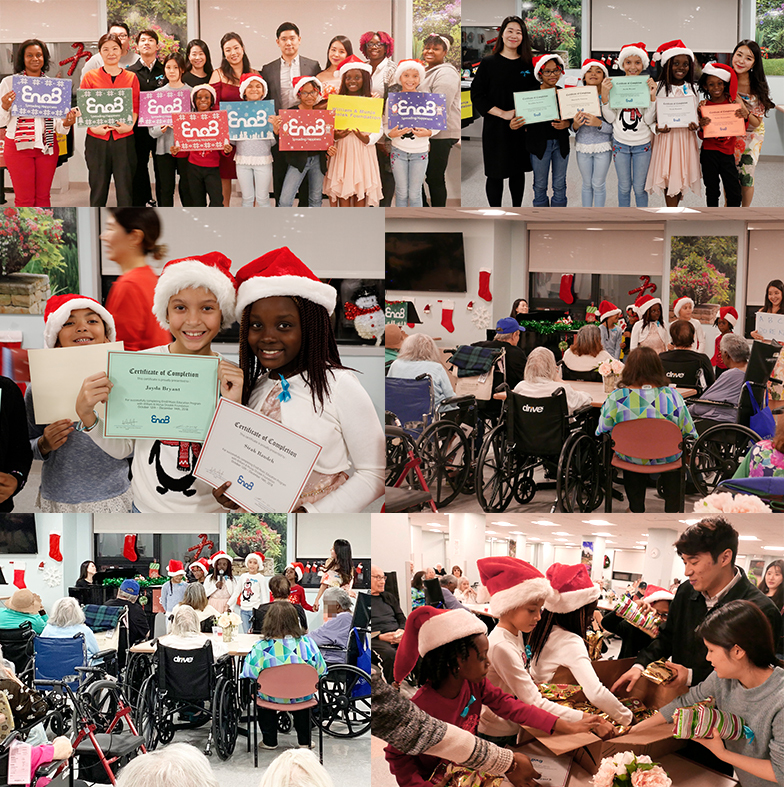 The goal of EnoB’s music education program is for the children to learn songs and play musical instruments from a professional coaching teacher for about 10 weeks after school, and perform at the senior center where EnoB’s outreach concert was held last year. It is not only about helping the self, but it is also about recognizing and experiencing that you are someone who can help someone else so that he or she can feel a sense of belonging as a member of society. Music education programs increase children’s cognitive development. Also, research shows that “preschoolers who took daily 30 minute group singing lessons and a weekly 10-15 minute private keyboard lesson scored 80 percent higher in object assembly skills than students who did not have the music lessons,” as reported in a 1994 study by Frances Rauscher and Gordon Shaw at the University of California, Irvine (Harvey, 1997).